Before we delve into some of the possibilities, let us first look at some of the drivers for digital marketing in the coming year. Anybody who scanned the digital, social, and mobile environments over the past year would have noticed one thing. The big boys of tech – Google, Facebook, Apple, Microsoft and Amazon – are continually rolling out innovations to match user actions while influencing how they behave online. For a start, everything seems to be geared towards a mobile-first audience. This means that websites have to be responsive and quick to load, images have to be square or vertical shaped, and videos must work without audio. Let us look at each of these in detail. Also known as programmatic marketing, programmatic advertising involves buying advertising space across multiple channels in an automated way. Through an automated bidding process on advertising inventory in real time, a specific ad can be shown to a specific customer at the right place at the right time. Executed through a mix of analytics, algorithms, AI, automation, and audience actions, programmatic advertising can serve highly relevant ads to your preferred target audience. 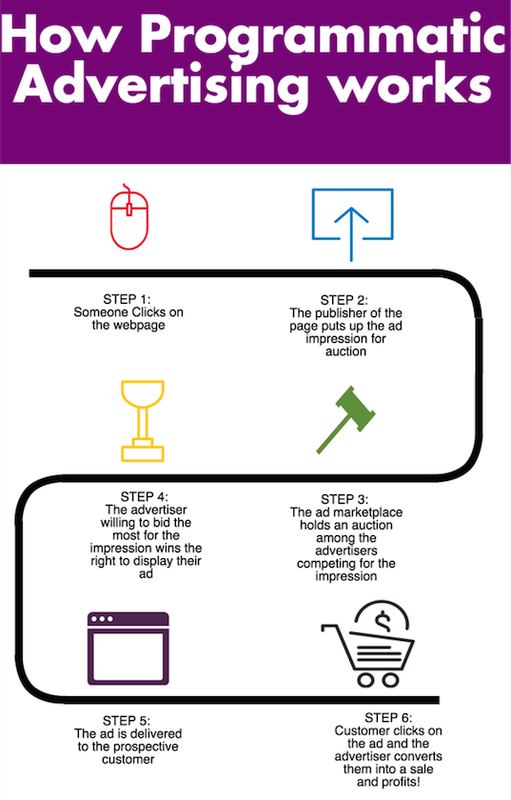 To understand how programmatic could work, have a look at the infographic below (courtesy of Smart Insights). By delivering impressions to the right target audiences at the right platforms at the right time, programmatic advertising helps to reduce waste. As an advertiser, you’ll only be paying for the impressions that are relevant, plus you’ll get valuable data on how customers are interacting with your ads (eg impressions, clicks, click through rates, etc). You can also buy advertising spaces across thousands of websites simultaneously without having to individually negotiate with each media owner. This helps to save time. On the flip side, however, programmatic ads may appear on undesirable websites (or articles with incorrect messages) unless advertisers stipulate specific blacklists (or whitelists) of sites to not appear in. It may also fall prey to ad fraud where publishers deliver ‘bot traffic’ as opposed to real people. And narrow targeting may be more expensive than broad targeting. Online chat is still the killer app of the social and digital age. And its growing really fast too. Just look at the chart below showing how the Big 4 Messaging Apps (Messenger, WhatsApp, WeChat and Viber) have surpassed the growth of the top 4 Social Networks (Facebook, Twitter, Instagram and Google+) in the last couple of years. 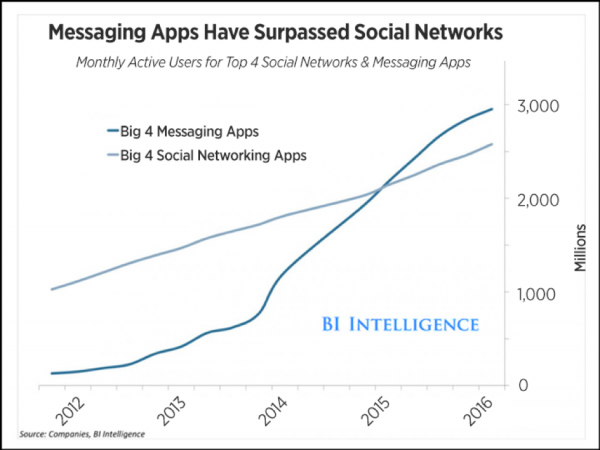 At the rate its going, messaging apps are going to make Messenger Marketing the single largest biggest marketing channel in the next couple of years. However, marketing with messages isn’t about sending spam via WhatsApp. Or flooding your Facebook Messenger database with one-for-one offers. Rather, it lies in providing valuable and customised information to your prospects when they drop you a message either on your website, Facebook Page, or other channels. This is where Chatbots (or bots) come in. Built to automatically engage with users of chat programmes like social messaging services (eg Facebook Messenger), SMS Text, website chat windows, chatbots can receive and respond to messages. They can also pop-up with a flashing prompt on websites, offering their help to users. Keyword Recognition-Based Chatbots: These have some degree of AI, and can recognise what users type and respond accordingly. 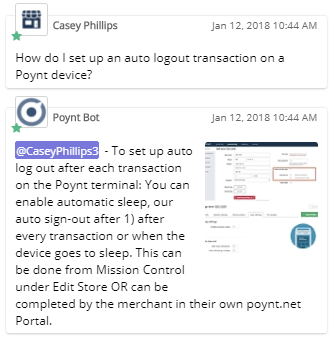 For example, if a user asked the question “What time are your operating hours?”, the bot can use the keywords ‘time’, ‘operating’, and ‘hours” to provide an appropriate response. See the example below from Chatsbot Magazine. Are ChatBots and Messenger Marketing for You? Well that really depends on the nature of your business. 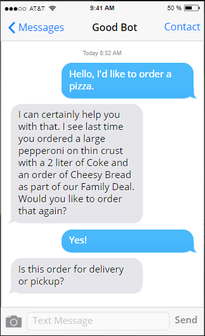 As I’ve previously shared, chatbots (or Autoresponders) can go horribly wrong if they’re not designed intelligently enough. 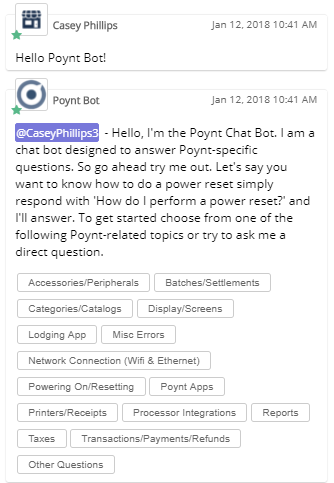 While simple button menu and keyword based bots may work well for simple queries, complex queries may be best handled by a human being. What would be useful though is for companies to use ChatBots and messaging platforms to deliver value to users. This can come in the form of answering customer service queries or providing bite-sized ideas and tips (eg “Here’s this season’s most popular fashion trends”) with a link to the full content. ManyChat: An industry leader offering multiple features including payment. Zero coding experience needed. chatfuel: Another popular chat app for Facebook Messenger requiring no coding. Videos have become the de facto content on social media channels like Facebook, Instagram, Twitter, SnapChat, and LinkedIn. Don’t believe me? Just look at your newsfeeds! LinkedIn Videos: Yes, this deserves mention considering how late the platform took to come into the game. But its certainly gaining traction. According to TechCrunch, Facebook is currently testing out live video shopping features on a few pages in Thailand. This feature allows merchants to demo and describe their items for viewers. Customers can screenshot something they want to buy and use Messenger to send it to the seller, who can then request payment right through the chat app. Personally, I’m a bit wary of efforts to sell on Facebook. Case in point: Facebook Marketplace, which hasn’t really caught on much despite being launched for over a year here in Singapore. Having said that, I’ve seen some Instagram influencers doing an extremely good job pushing fashion apparel on their IG Live feeds. The key seems to be mixing and matching storytelling with products that you’re selling. Omnichannel Marketing isn’t the same as using multiple channels. Inspired by the Latin word omnis which means ‘all, every, the whole, of every kind’, omnichannel marketing focuses on providing a holistic and cohesive customer experience across all touchpoints. Every touchpoint is contextualised and personalised for the individual customer. If you’re keen to pursue an omnichannel marketing strategy, you do need to view each brand-customer encounter through the eyes of your customer. Orchestrate the customer experience across all your different channels so that it is seamless, integrated and consistent. The key thing here is to keep track of your prospect’s interactions with you across different channels, paying attention to the details of their previous transactions (“You have bought this shirt and tie on 10 January. Would you like a matching jacket to go with it for only $_____”), and personalizing your content and offers to suit their needs. Integrated Marketing Technology Stack: Invest in the right digital marketing tools and apps, and ensure that the Application Programming Interfaces (APIs) are inter-operable (ie they can talk to each other.) This covers Customer Relationship Management (CRM) solutions (eg Zoho CRM and Salesforce CRM), email marketing and marketing automation, Content Management System (CMS), to analytics solutions. Responsive Webpages (and Emails): In an increasingly mobile-first user environment, you’ll need to ensure that all content pieces are easy to read and navigate on a small screen. While omnichannel marketing focuses on having a singular view of the customer, Conversion Rate Optimization or CRO examines how your different channels can be enhanced to improve conversions. Conversion Rate Optimization is the systematic process of improving the percentage of visitors, prospects or customers taking a desired action online. This can range from clicking a button, filling out a form, purchasing a product, or responding to an email. Lead nurturing: Providing increasingly greater value to deepen relationships and graduate customer relationships: Unaware ➜ Visitor ➜ Lead ➜ Prospect ➜ Customer ➜ Repeat/ Loyal Customer. As the online environment becomes more and more competitive, vanity metrics indicators alone (eg web visitors, likes, comments, shares, and fans) can no longer be sustainable in the coming year. 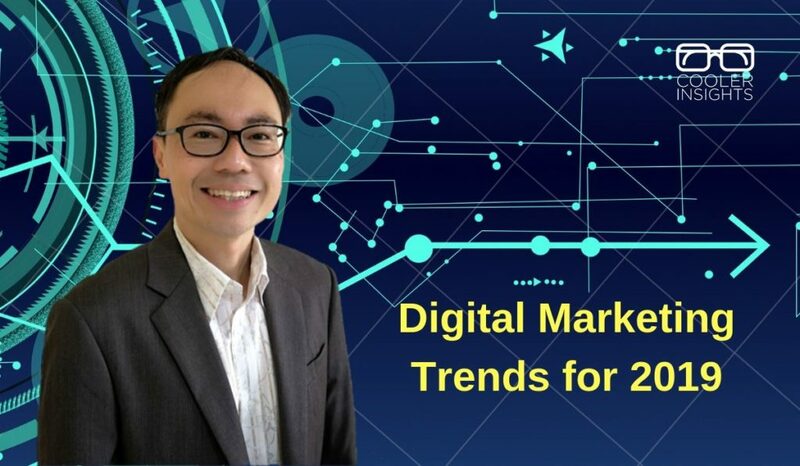 Digital Marketing in 2019 offers lots of exciting opportunities and challenges for marketers of any stripe. While new features and apps may have dominated the news, the twin pillars of providing useful and relevant content and great customer experiences still apply. Which strategy do you find most relevant? Social Video Storytelling (and Selling)? Personally, I’ll probably be experimenting with social videos, and working with my clients on CRO and Messenger Marketing. What about you? Catch Me on Money 89.3 FM’s Podcast! Wish to learn more about digital marketing in the year ahead? 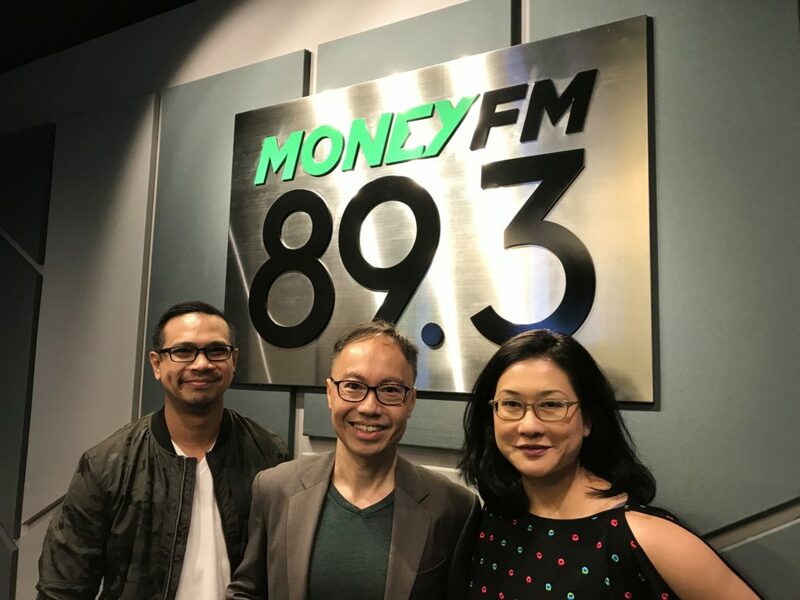 Listen to my radio podcast on Money 89.3 FM!